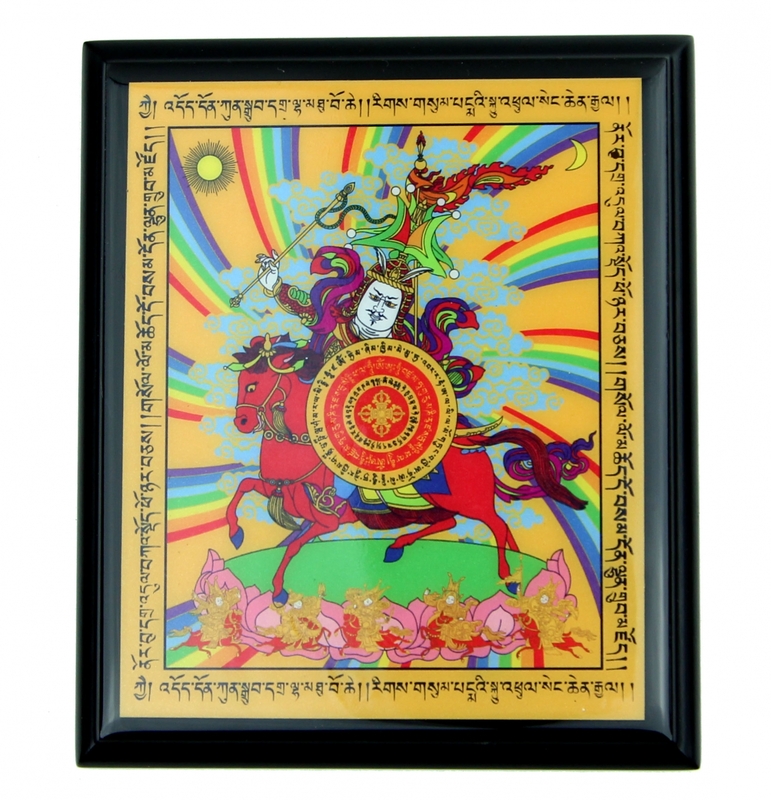 Printed with images of King Gesar riding on his windhorse, this King Gesar plaque is said to have magical power of bringing abundance and good wealth. King Gesar is widely known as the God of Wealth in Chinese culture, and is often shown in luscious royal robes of prosperity, and wearing a crown of wealth. The King Gesar often holds flaming jewels and weapons to capture abundance, fortune, and wealth. You can place/hang the wealth King Gesar paque on your home altar or on a high shelf to allow the king’s powerfully auspicious auras to travel throughout your home. Placing King Gesar in your home or office increases opportunities for success and fortune. This King Gesar plaque is made of wood. The dimension of it is approx. 6.25" x 5.25" x 0.5". It can either be displayed on the table or shelf or hung on a wall.